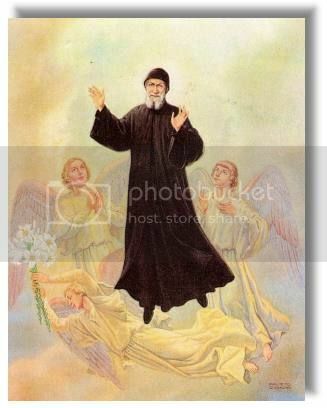 Youssef Makhlouf was born in 1828 in Bika’Kafra, the highest village of Lebanon, near the grove of the still-conserved famous cedars of Lebanon. 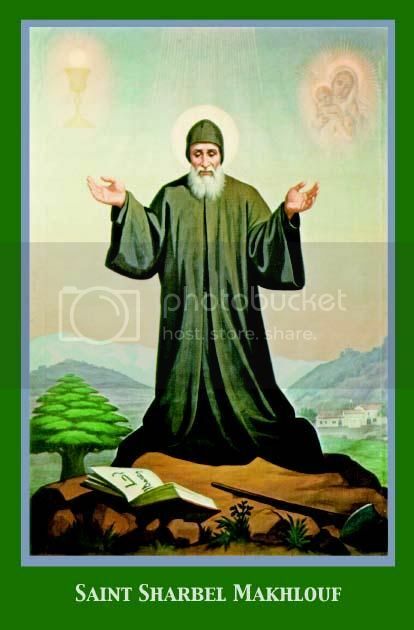 Youssef grew in maturity and piety. 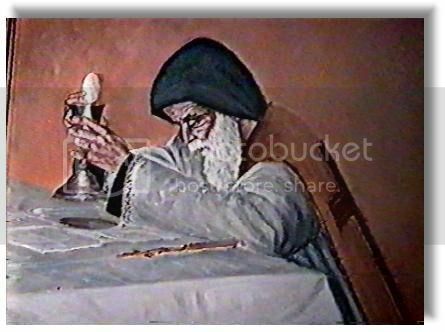 He spent hours each day praying and reading Holy Scriptures and Christian literature. His favorite book was Thomas a Kempis's “The Imitation of Christ,” which he began in earnest attempting to follow. 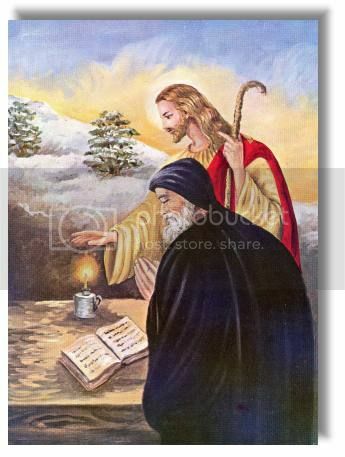 Youssef served Mass every morning, and in that function, on the alter, he discovered the true purpose of his existence: to be, like his Savior, a victim to be offered, with Christ, to His Father. 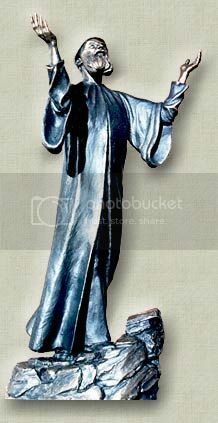 At forty-seven, he returned to the hermitage near Annaya, where he would remain until his death. There, he lived a life of contemplation, penance, and mortification. During the extreme cold of the winters, he refused to put on additional clothes, shivering through his prayers in simple robes. Following his death, the monks who trembled with cold during the night when they kept vigil at his coffin before his funeral, said: “See how we find ourselves unable to endure for a single night, the rude cold of this chapel! How could this priest live here for twenty-three years, on his knees, like a statue before the altar, every night from midnight until eleven in the morning, when he rose to say his Mass? 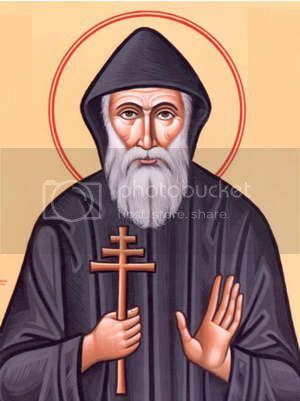 Blessed is he, for he undoubtedly receives at present his reward with God!”Saint Charbel also gained a reputation for holiness, and despite his wish to live in isolation, was much sought for counsel and blessing. 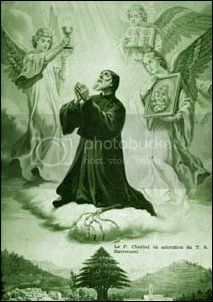 He had a great personal devotion to the Blessed Sacrament, and was known to levitate during his prayers. He reportedly never raised his eyes from the ground, his face shrouded by his cloak, unless his gaze was fixed on the tabernacle during the Eucharist. On the evening of his funeral, his superior wrote: “Because of what he will do after his death, I need not talk about his behavior.” A few months later, a bright light was seen surrounding his tomb. The superiors ordered the tomb to be opened, and they found his body perfectly preserved, incorrupt (as it remains today). Scientific experts and doctors have been unable to explain this phenomenon. 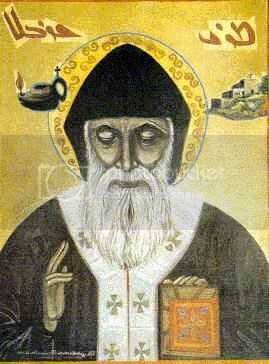 Since his death, thousands of miracles have been attributed to his intercession, giving him the title “Wonderworker of the East.” Sick and infirm people of every religion and nationality have been healed: deaf, dumb, blind, paralytic, those with cancer, mental illness, and many others. God worked these wonders either when people touched the body of the holy saint, were anointed with the oily liquid that sweats miraculously from his precious remains, or when they touched cloth soaked with this liquid or which had belonged to him. 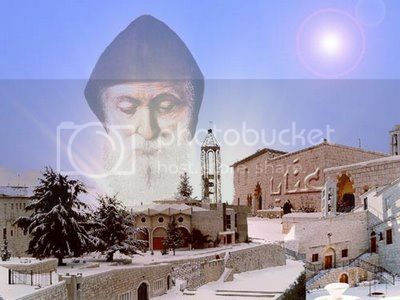 Bishop Zayek wrote: “Saint Charbel is called the second Saint Anthony of the Desert, the Perfume of Lebanon…Charbel is like a Cedar of Lebanon standing in eternal prayer, on top of a mountain.” Saint Charbel lived a life of silence, mortification, deprivation and total gift of self, concentrating fully and completely on Christ. 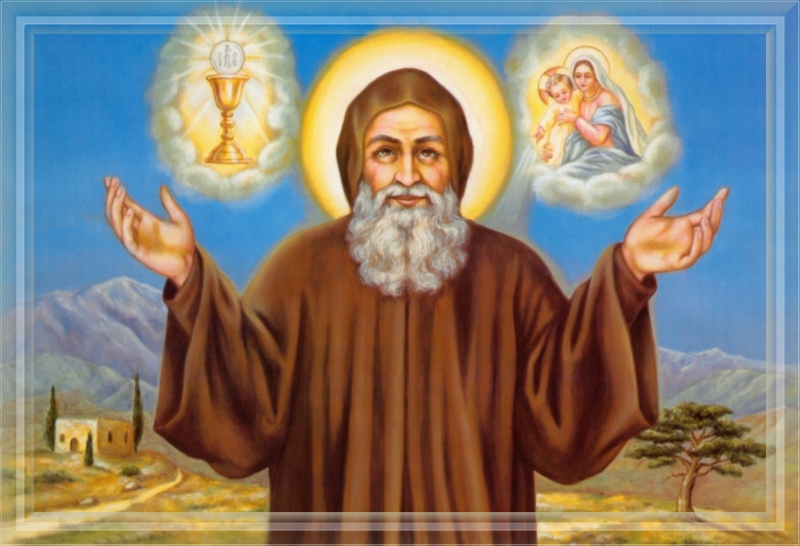 We might take a lesson from his simple acts of sacrifice and service, looking to our Savior with the same love, devotion, obedience, and longing exhibited by Saint Charbel. That guided all his days. That heaven's crown be won. That strong may be our prayer! May vanquish sin's dark night.